Two years ago I ran my first Dungeon World-campaign and it was fun. But thinking back to it I might have not been familiar enough with the AWengine to make it the most memorable. I liked the basic idea in it though – it was a world entirely covered in forest. This idea did not come up that too often in the few games we played. So when I started thinking about running a new campaign I realised I wasn’t done with that world. So last Saturday I got a new group together and started a new campaign with my favourite fantasy system. And this time we tried out it with Funnel World. As with DCCRPG this game starts with each player create a few 0-level villagers (we created three for each player). This means they have low amount of hit points and cannot even really deal damage. That doesn’t mean they cannot be fun though. In fact these villagers gained character enough for the players to be invested in their destinies. Which just meant it was more fun for me to kill them. Even with the interesting characters my attention was captured by the map. The Funnel World has simple but effective rules for players to draw a map for the home village. At first it seemed like it wouldn’t really work but with me asking questions and the players thinking cool stuff for it the map became a living thing. At first there weren’t many details on it but bit by bit it got more detailed. And with the map our understanding about the world grew. Another fact I had decided before starting game was that this world had gone through an apocalyptic war between the gods. We had been discussing about this on our forum, so each player already knew the world would be a fantasy version of post-apocalypse world. I was not sure of how to bring this up in the game but luckily one of the players drew a huge hand coming of the earth to the map. At first it just was a place of worship. But once another player drew a gigantic sword (and a giant eagle living on its hilt) we suddenly had a concrete evidence of the fall of the gods. As for the adventure I was planning on going with the Dog-men Cometh scenario from the Funnel World. 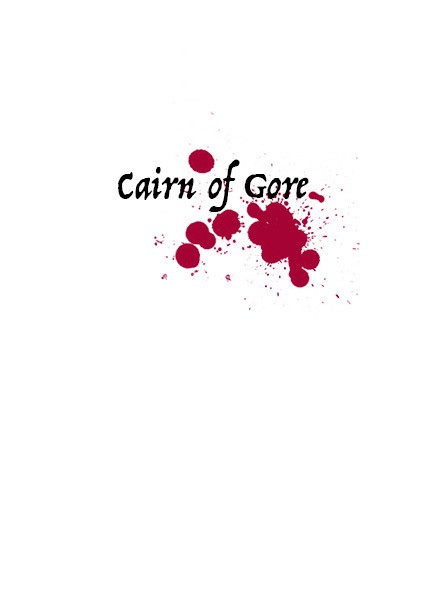 Then I remembered writing the Cairn of Gore adventure for my brother last winter and decided to use it. During our last run with Dungeon World, Ville criticized me (justly) for dull combat locations. Since I have been visiting Finnish caves quite a lot during these past two years, I now knew how to make them more alive and wanted to use that experience. After the game Ville said praised the description and the feeling of the caves and I knew my choice had paid off. Since my experience from funnel-style of adventures is limited to just one DCCRPG adventure I wasn’t too sure of how to balance this story. I had a vivid image of making the first fight too difficult in our last campaign and didn’t want to repeat that. This time I started with one enemy I considered to be pretty weak. She ended up ripping the throat out from one PC (I used a move for that to establish the deadliness of the funnel) and managed to almost escape about five other PCs. I immediately took note that I could not use the stats as written for the Cairn of Gore and just switched to the stats of the Dog-men Cometh. Some magical mists always raise the atmosphere. There has been some conversation about how much prep is enough (or too much) for AWengine game, I was happy to have planned this funnel a bit more than usual. The having the fall-back monster stats was not that big of a deal but it made me more sure about how to run the story. To the test the waters a bit more I threw a couple of enemies with the same stats and one more deadly at them while they were searching for the cairn. Even though I think most of us will remember the epic battle between the characters and the true lycanthrope in the boulder caves, it was this battle that set the mood for the rest of the adventure. Running combats has always been something I try to avoid. I hate how much they consume time and it is hard to keep them interesting in the long run. This time we even had over ten characters in the fight which did not make things any easier. Still the battle didn’t last as long as I had anticipated. One of the characters died during it (by my say-so), but the characters also managed to achieve their first real victory when the apothecary Eadig severing the dire wolf’s head with a shovel. Again this combat was much more deadly as I would have thought. But it allowed me to test the characters’ limits and to plan for the final “boss battle” a bit more. According to my original plans it would not have been too easy to find the Cairn. After the second combat we had been playing over four hours and I knew I had to wrap things up. The party found the Cairn, used their brains to weaken their enemies and even split the party. Now that I think of the game I might have stressed the time limits in-game a bit too often. Eben so it worked and I managed to softly railroad the group into the caves. From which they emerged as heroes. Though it might seem that this session was all about the combat, it actually was everything else. We learnt interesting facts about the characters’ past, got to use different basic moves from playbooks that gave us clues to which direction the characters could go after the funnel, and we established important details about the world. This wasn’t the way to start a Dungeon World campaign as written in the core book but for as it worked. The session was easily one of the most memorable beginnings of a campaign for me. And since my players were discussing about it the next morning and we managed to settle a new game for next week I’m confident the players also enjoyed it. I have began to plan things for our next session. 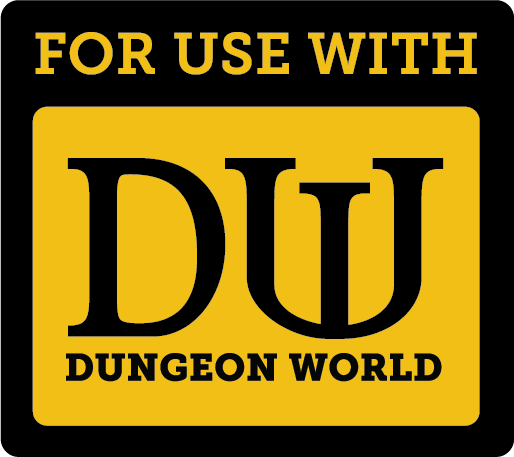 I also plan to publish all my notes here as separate adventures for Dungeon World. This might turn out to be an epic campaign! This entry was posted in Dungeon World, Game Session Debriefing, Roleplaying Games, Trying out and tagged Apocalypse World, campaign, caves, characters, dungeon, Dungeon World, fantasy, map, pc, scenario, starting, Sylvan World by Lauri Maijala. Bookmark the permalink.